The Revenue Committee heard testimony March 20 on a bill that would create a tax credit for Nebraska companies that use agricultural products to produce sustainable materials and renewable chemicals. 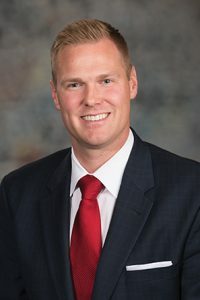 LB605, introduced by Omaha Sen. Brett Lindstrom, would create a refundable income tax credit based on the number of pounds of renewable chemicals a company produces. A business could apply to the state Department of Economic Development for certification as an eligible business and enter into an agreement with the department to receive tax credits under the act for up to four years. The business would apply to the state Department of Revenue to receive the credits. To qualify, a business must have produced at least 1 million pounds of renewable chemicals in Nebraska during the calendar year and must be physically located in the state. It also must have organized, expanded or located in Nebraska on or after the act goes into effect. The state director of economic development could approve up to $3 million in credits for calendar years 2021 and 2022 and up to $6 million in credits for subsequent years. An eligible business could receive up to $1.5 million in credits per year. 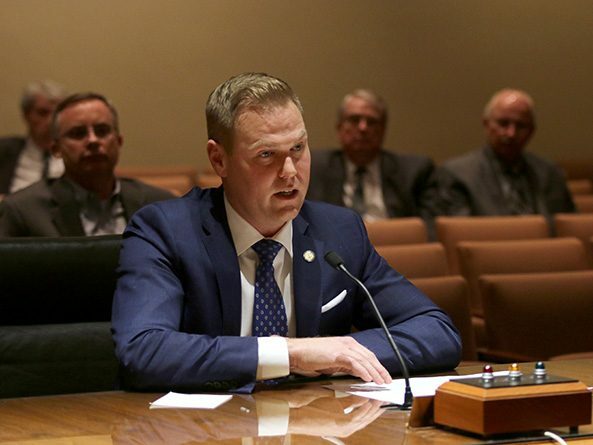 Lindstrom said the proposed credit would help Nebraska compete with other states, including Iowa and Minnesota, that have their own incentive programs to attract renewable chemical companies. He said Nebraska’s agricultural economy makes it a good fit for such companies. Phil Kozera, executive director of the Bio Nebraska Life Sciences Association, testified in support of the bill. He said industrial biotechnology companies are finding ways to convert inputs such as ethanol and biomass into higher value products such as plastics, packaging and clothing, replacing similar products made from petroleum. He said LB605 would accelerate the growth of those companies in Nebraska, which produces 1.6 billion bushels of corn and has 2.5 billion gallons of ethanol capacity annually. Luca Zullo, vice president of business development for Prairie Catalytic, also testified in support. He said the company’s new $50 million plant in Columbus will use ethanol to produce 50,000 tons of ethyl acetate—a compound used in paint, nail polish remover and flexible packaging—per year, making it the largest of its kind in the world. Zullo said the proposed tax incentive would help similar, smaller companies enter the market and compete with larger businesses. Jan tenBensel, a member of the Nebraska Ethanol Board, also testified in support of LB605. He said it would encourage industrial biotechnology companies to locate and expand in the state, driving demand for Nebraska ethanol and grain crops. Each of the state’s ethanol plants is a potential campus that could host advanced biochemical and biopharmaceutical companies, tenBensel said. “[LB605] is truly a business recruitment tool for all of Nebraska,” he said.